and the truth behind the myths. Misconception: We have rabbits in Nova Scotia, so this bunny will be ok in the wild. 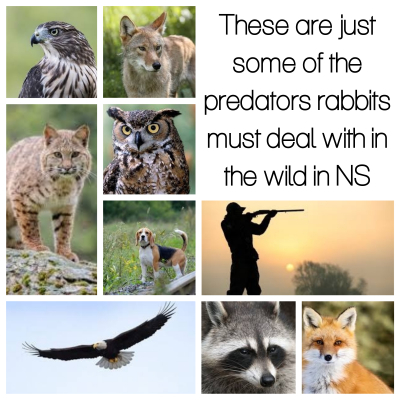 REALITY: Wild Hares are native to Nova Scotia, however, they are very different than domesticated rabbits. 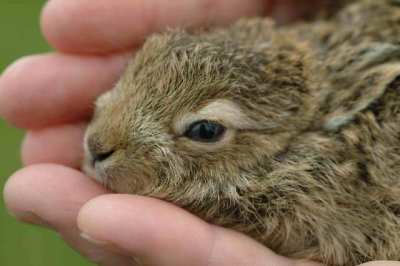 Wild Hares are born with fur and with their eyes open, ready to run if necessary. They have always lived with the constant threat of predators and therefore have instincts that will allow them to be safe. 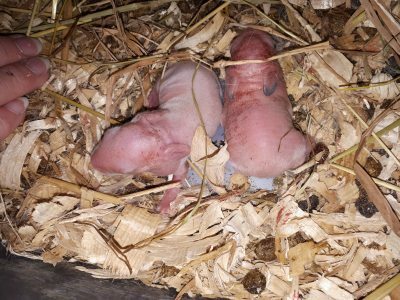 Domesticated Rabbits are born almost completely hairless with their eyes still closed. They are not able to run away from predators. 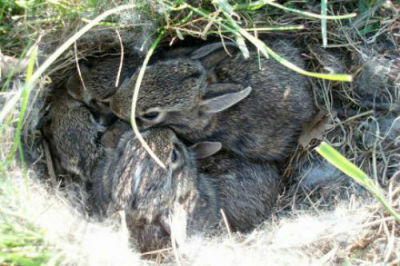 They do not have the skills and instincts required to stay safe in an outdoor setting. .
Click here for more information on the differences between Snowshoe Hares and Domesticated Rabbits! 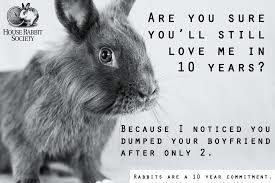 Misconception: Rabbits only live a couple of years, so there is no long term commitment needed. 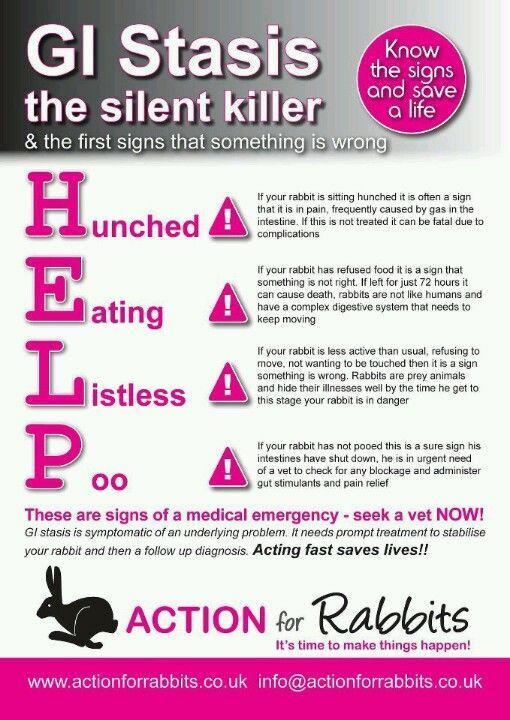 REALITY: Well cared for, indoor rabbits can live 7-10 years and some live into their teens. This is approximately the same lifespan as some breeds of dogs and require the same long term commitment. 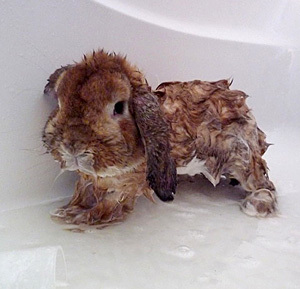 Misconception: Rabbits can be given a bath ... and OMG it's SO cute! 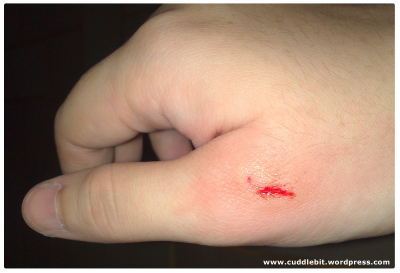 REALITY: Giving a rabbit a bath is very dangerous. They can easily die from shock or hypothermia. They can develop pneumonia or ear infections. They splash, not because it is fun, but rather because they are scared. 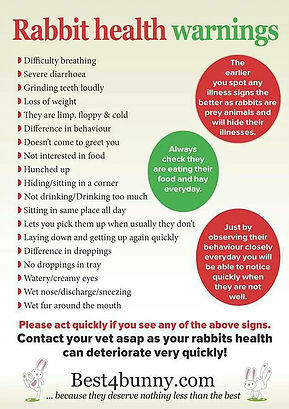 DO NOT GIVE BUNNIES A BATH. Rabbits are naturally VERY clean animals and groom themselves as much as cats. 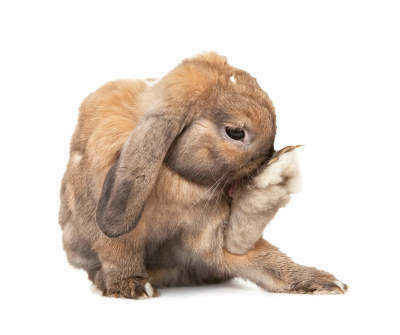 If you find that your bun has a spot that he needs some help with, (generally bum or feet) a damp cloth or gentil combing is all you need to fix the problem. 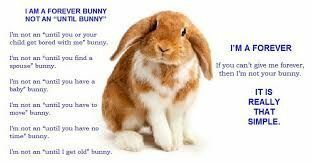 REALITY: Companion rabbits should be spayed/neutered by a vet experienced in rabbit care. They have very sensitive GI tracts and can require medical assistance for a variety of issues. Misconception: Rabbits are happiest outdoors in a backyard hutch. 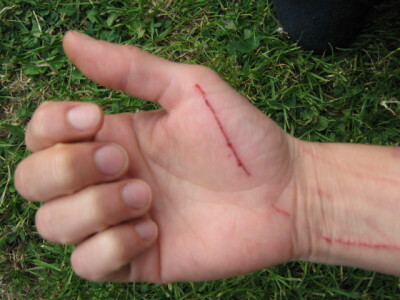 Misconception: Rabbits love to be picked up and cuddled and do not scratch or bite.